On 20 June, the Italian campaign began and, on 21 June, troops of the Italian Royal Army crossed the French border in three places The Italians attacked in two directions. One force attempted to advance through the Alps and another force attempted to advance along the Mediterranean coast towards Nice. 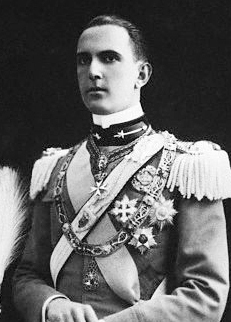 Initially, the Italian offensive enjoyed a limited level of success. The French defensive lines on the Italian border were weakened due to French High Command shuffling forces to fight the Germans. Some French mountain units had been sent to Norway. However, the Italian offensive soon stalled at the fortified Alpine Line in the Alps region and at the southern end of the Maginot Line in the Mediterranean region. The attack through the Little Saint Bernard Pass in the Alps had to stop due to a massive snow storm. The Italian forces attacking through the French Riviera advanced only about five miles and were stopped in the vicinity of the town of Menton, which was partially occupied by the Italian army; on the Cote d'Azur the Italian invasion was held up by a French NCO and seven men. 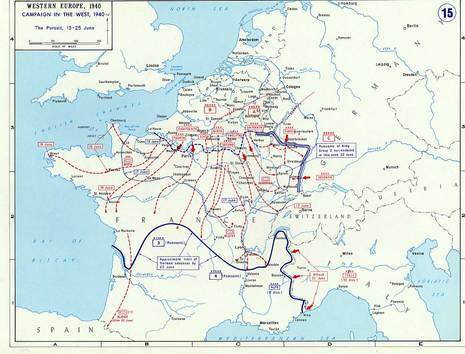 On June 10, as the Germans launched their blitzkrieg into France, Italy declared war on France and Britain. 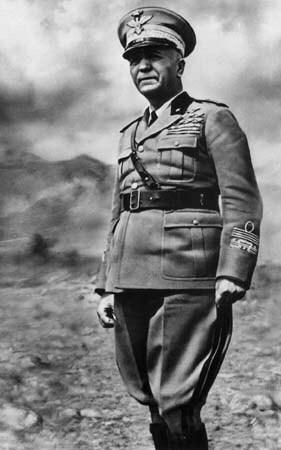 Waiting until June 21, (while Northern France was collapsing to the Germans) Italy’s leader Mussolini, launched 32 divisions into Southern France through and around the Alps. Their goal was to take Nice, Corsica, French Somaliland and Tunisia. These Italian units were poorly directed and severely under-equipped. The initial Italian attack was launched through the Little Saint Bernard Pass in the Alps but was halted by a massive snowstorm. Another assault was launched through the French Riviera towards Nice. Many efforts were made to pass the frontier region of St. Louis before advancing on to Menton.